Halong Mining is launching a production line that consists of one machine for now: the DragonMint 16T. The miner — its name references the Dragon’s Den, an (in)famous private chat channel on the Bitcoin Core Community Slack — is equipped with newly designed chips and can produce a total of 16 terahashes per second. Importantly, BtcDrak claims that the machines are about 30 percent more energy efficient than the most efficient ASIC miner on the market right now, Bitmain’s AntMiner S9. “The DragonMint will be the most advanced miner to date,” he said. According to the developer, Halong Mining has invested $30 million in research and development so far, with over 100 people involved, including chip designers, electronics hardware specialists and software designers. “Research and development is not cheap, and we need a lot of diverse skills,” BtcDrak explained. Halong Mining has now produced an initial batch of DragonMint machines, though these are still just prototypes for testing and fine-tuning. They will not be sold to the public due to risk of reverse engineering, BtcDrak said, though he emphasized that the machines are working. Halong Mining published a video of a DragonMint on YouTube today. 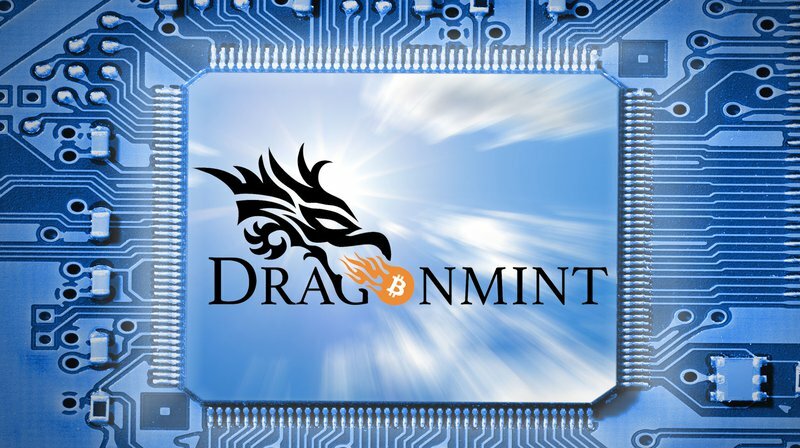 BtcDrak thinks the first mass-produced run of DragonMint miners will happen within about four months and begin to ship in March of 2018. Apart from the DragonMint machines, Halong Mining will also be selling mining chips separately, in bulk. With the introduction of DragonMint miners, Halong Mining will offer an alternative for Bitmain’s mining hardware, which has dominated the market for the past few years. An estimated 70 percent or more of the hash power on the network today is produced by Bitmain machines, and around half of all hash power is pointed to mining pools that are either owned by or closely affiliated with Bitmain, such as AntPool, BTC.com, ConnectBTC and ViaBTC. Bitmain in particular has also not made itself popular within segments of the Bitcoin community over the past years. The Chinese ASIC manufacturer was at the center of the AsicBoost and Antbleed controversies, and perhaps more importantly, some speculate that the company exerted its influence over the mining ecosystem by allowing or limiting hardware sales based on how hash power from the machines was used. Bitmain has always denied this is the case, however. Halong Mining wants to distribute ASIC miners “far and wide to help decentralize mining,” BtcDrak said, adding that the company is considering open sourcing its board designs and software. This would help new manufacturers get a foothold in the industry, building on the research already done by Halong Mining over the past year.